Selects returns with their sixth instalment on Demand Records, this time with homegrown music. All artists are either parts or complete Swiss. Still, it's safe to say that this is an all swiss product and we're humbled and proud to be able to offer you great music from all these amazing producers from our home country. First off Qbig & Zenith B. No need for any introduction. They have been at the forefront of swiss Drum & Bass in the last year or two and 'Tanoke' underlines that! 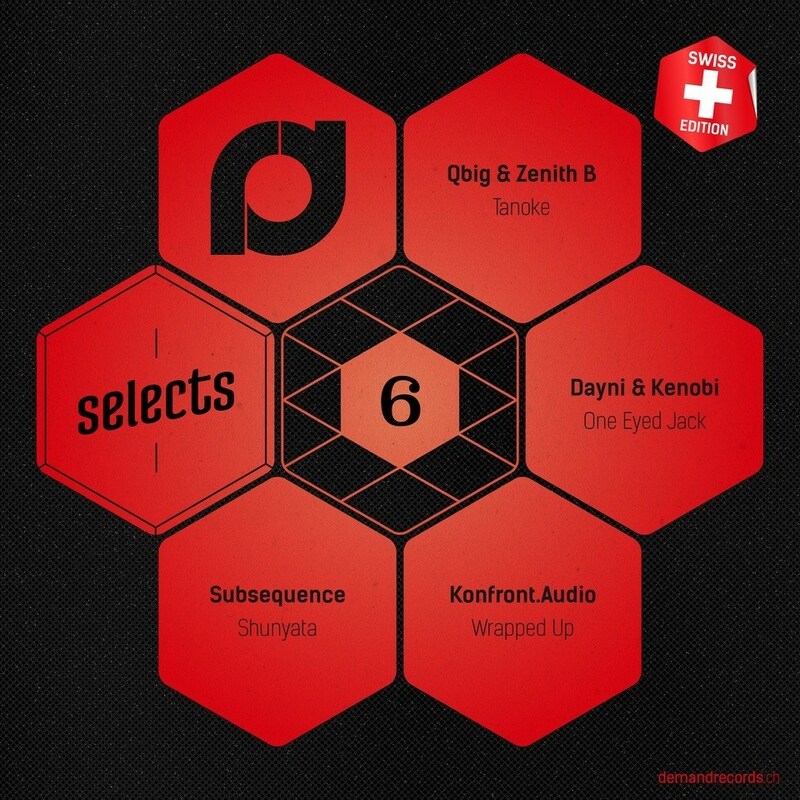 Dayni and Kenobi are stalwarts of the swiss drum & bass scene. Both have been active for almost 2 decades and deliver a furious virus esque roller with 'One Eyed Jack', while the brothers Yves & Simon, who form Konfront.Audio, treat us with some tech in 'Wrapped Up' which switches effortlessly from soothing to dirt. To round off we serve you 'Shunyata' by Subsequence a chilled & deep outing by the Zurich native. Forget cowbells and chocolate, this is the real deal!